Place the crème fraîche, lemon juice and a sprinkle of salt in a small bowl and whisk to combine. Place the oysters on plates sprinkled with black salt, if using. 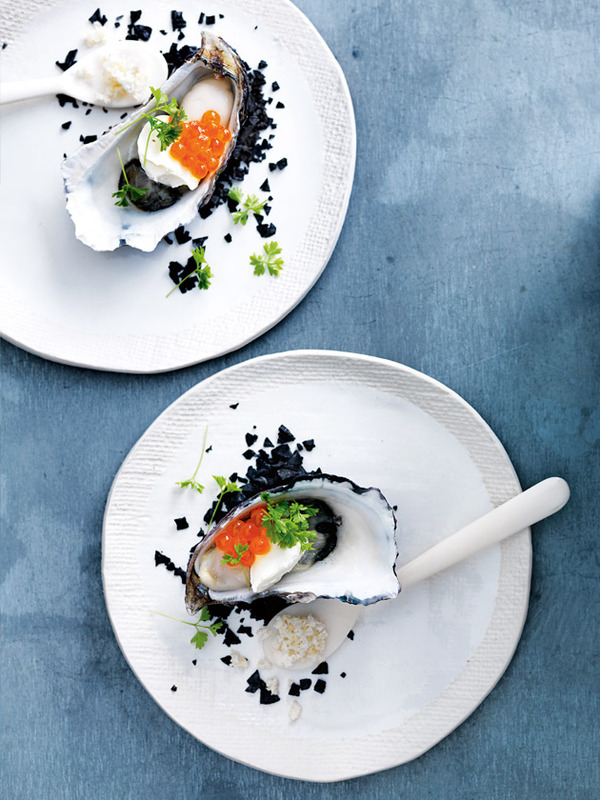 Spoon the crème fraîche mixture onto the oysters and top with the salmon roe and chervil.